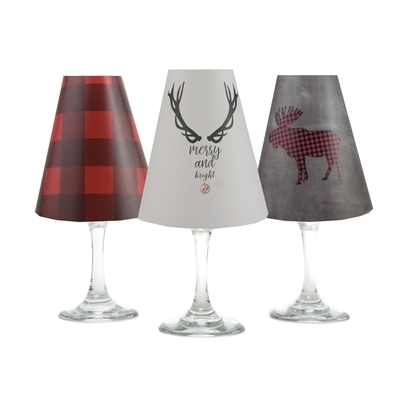 Set your table with style with translucent paper white wine glass shades. New holiday shades. The set includes two of each coordinating patterns.